We're Amy + Meredith. Two former corporate cubicle dwellers, turned full time moms, fast friends, and business partners. 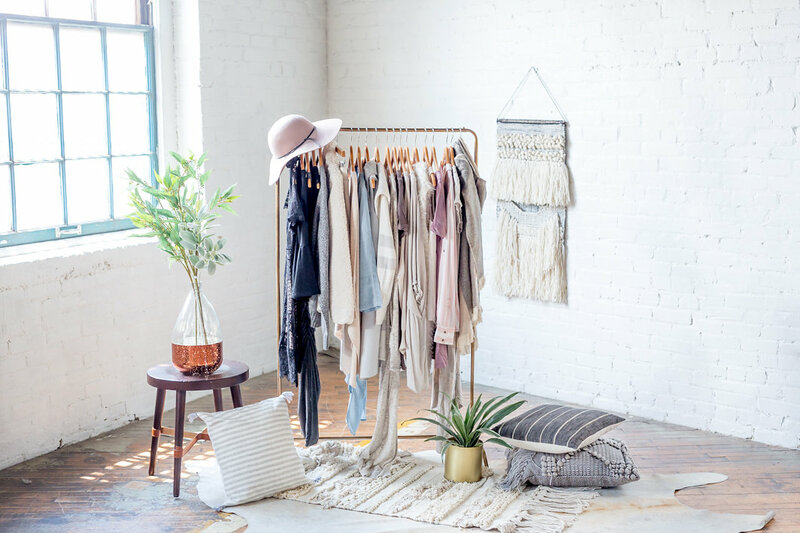 Cloth + Cabin is our Michigan based online women's clothing and home decor boutique with a killer farmhouse meets boho vibe. Classic neutrals, cozy textiles, and clean design define us and our brand. This little business of ours may be in its infancy, but man, do we have some MAJOR plans for its adulthood...and you better believe those plans include you! Click here become a Cloth + Cabin Lifestyler TODAY! We're strong "Beliebers" in never taking anything too seriously. Here, kind hearts, fierce minds and brave spirits win. We say - be yourself, you look beautiful like that. Disrupt conformit. Forget the ruls. If you like it, wear it. Be the girl who listens to gangster rap on the way to the farmer's market after yoga. You were not made to be subtle. You are entirely up to you. "A flower does not think to compete with the flower next to it. It just blooms."